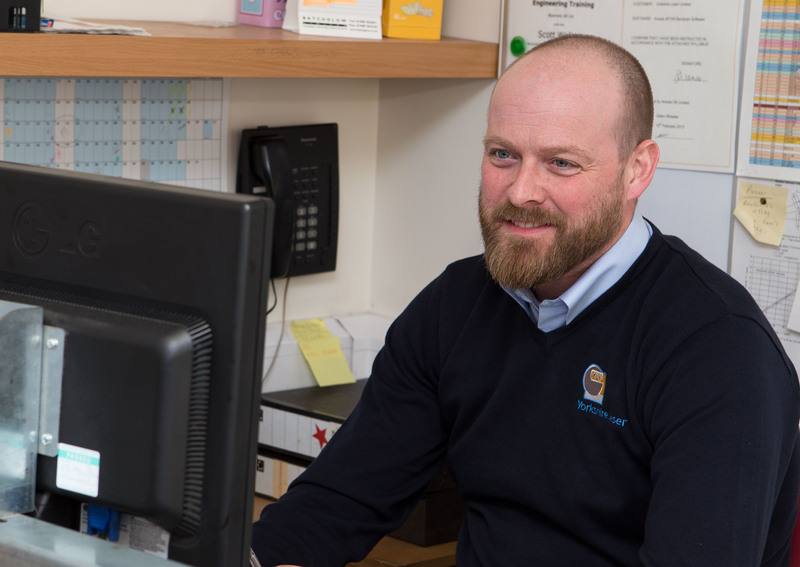 Scott has worked at Yorkshire Laser for 10 years and says that no day is ever the same. His role at the company has changed over the years; consequently he has acquired many new skills and a diverse knowledge of the industry. Whilst it is very much a team effort, he enjoys being accountable for several key clients and the opportunity to forge personal relationships. Although he is predominantly office based, there is still much interaction with the staff on the shop floor due to the family ethos of Yorkshire Laser. Scott is Mr Active. He enjoys Formula 1, snowboarding, BMX and travelling – his motto, to paraphrase the global sports phenomenon, is ‘Just Do It’. He supports Leeds United, enjoys drawing, watching box set TV and listening to the Kings of Leon. If he won the lottery he would follow the F1 tour around the world.